Oblique aerial view centred on the cinema, club and theatre with the church adjacent, taken from the E.
Oblique aerial view centred on the cinema, club and theatre with the church adjacent, taken from the SW.
Oblique aerial view centred on the church, clock tower, library and townhall with the cinema, club and theatre adjacent, taken from the E.
View from W. Scanned image of D 2432 CN. 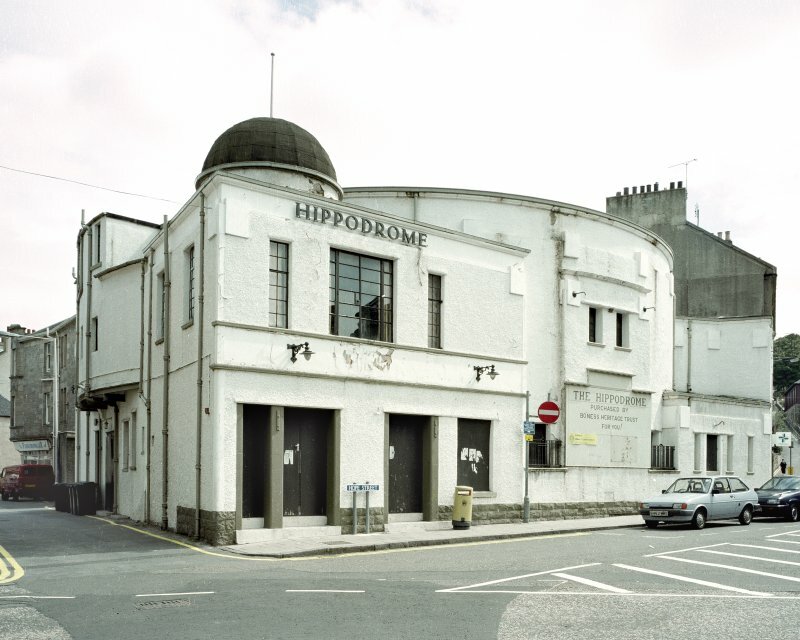 View of The Hippodrome, 10 Hope Street, Bo'ness, taken from the North-West. 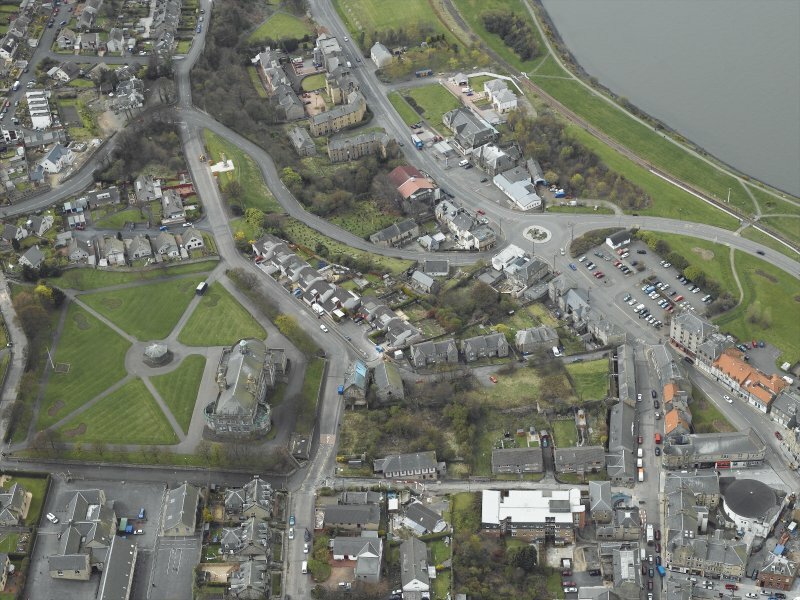 This photograph was taken as part of the Bo'ness Urban Survey to illustrate the character of the Town Centre Area of Townscape Character. 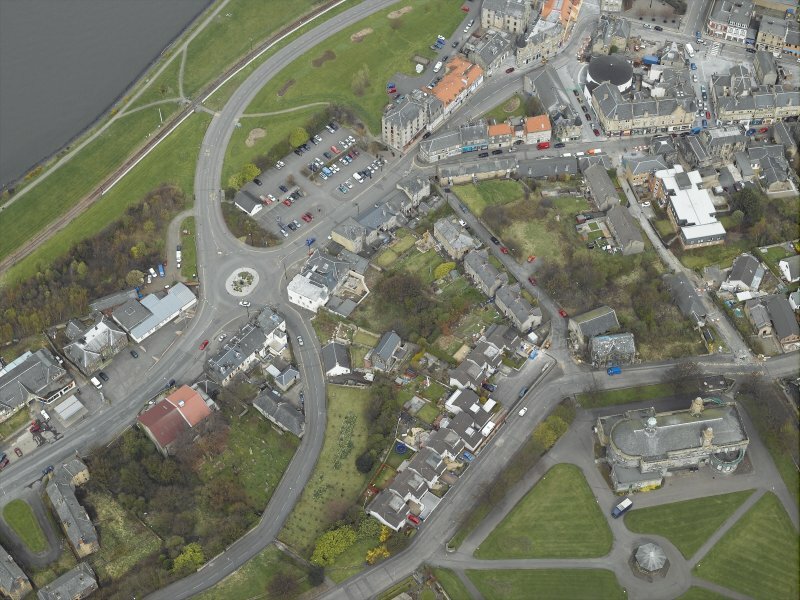 Oblique aerial view centred on the clock tower, library and town hall with the church, cinema, club and theatre adjacent, taken from the NW. 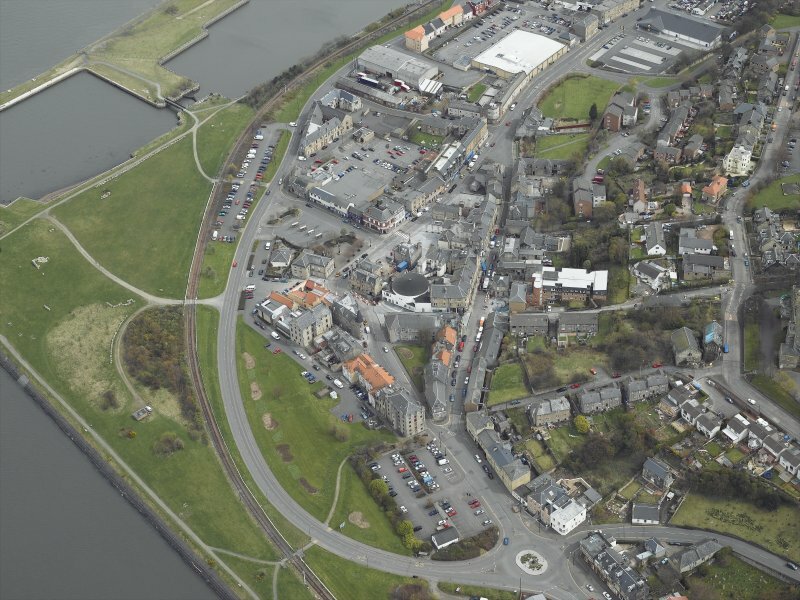 Oblique aerial view centred on the church, clock tower, library and townhall with the cinema, club and theatre adjacent, taken from the SSE. 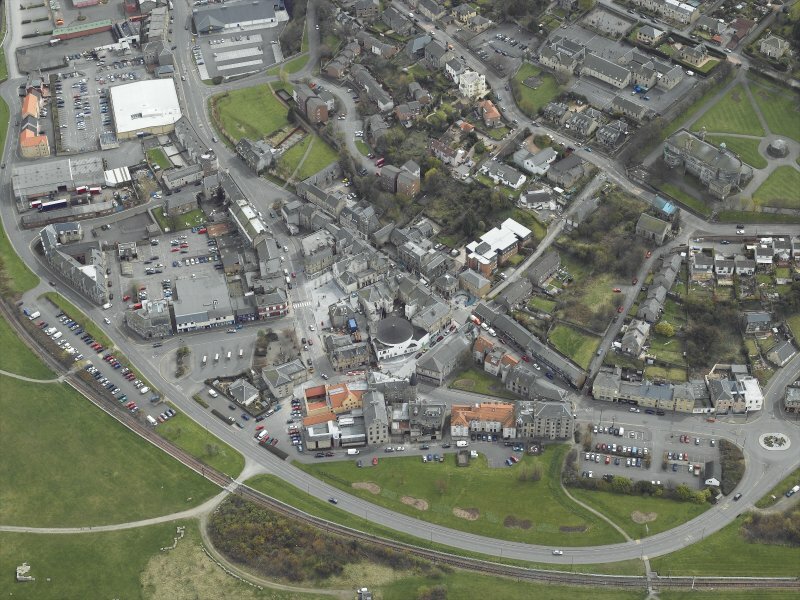 Oblique aerial view centred on the cinema, club and theatre with the church, clock tower, library and town hall adjacent, taken from the WNW. View of The Hippodrome, 10 Hope Street, Bo'ness, taken from the West. 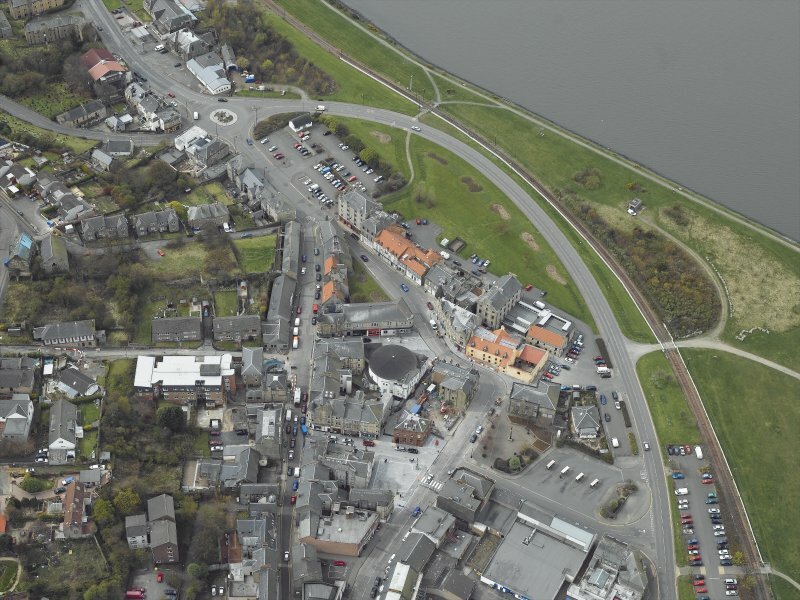 This photograph was taken as part of the Bo'ness Urban Survey to illustrate the character of the Town Centre Area of Townscape Character. 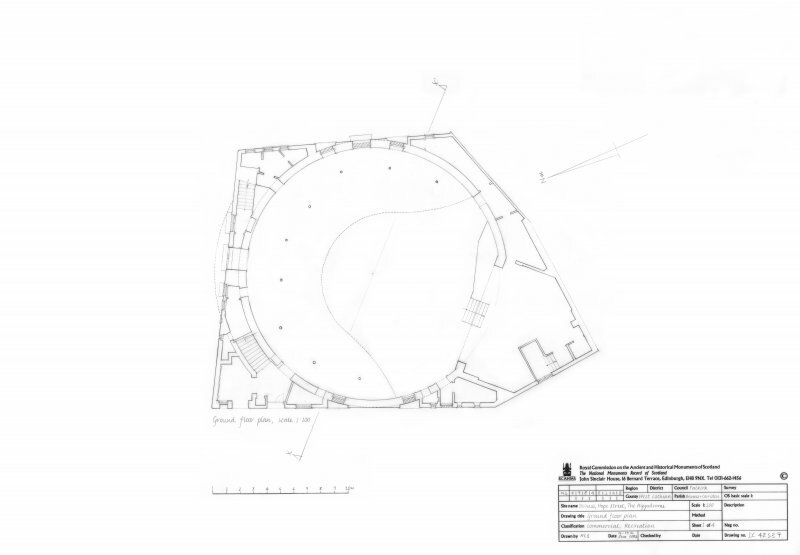 2 storey shallow-domed auditorium in a Modern Movement style by Matthew Steele, one of the earliest cinemas in Scotland. 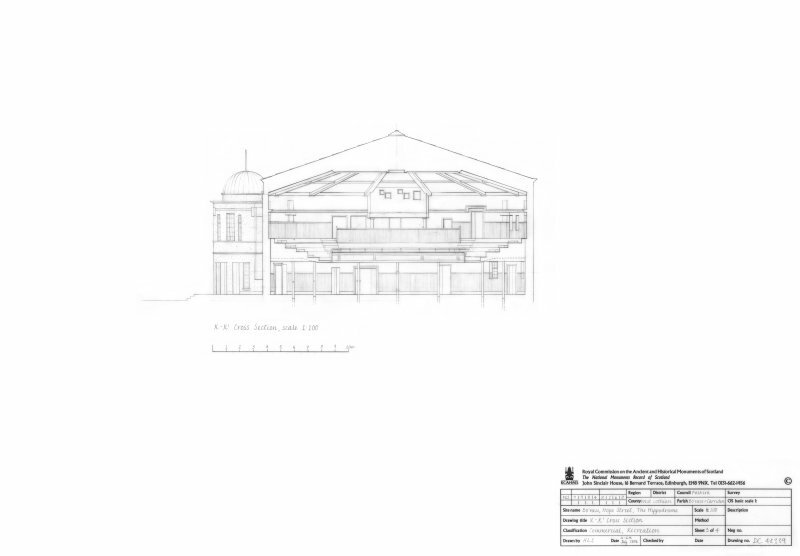 It is abutted by John Taylor's 2 storey domed ticket office extension of 1926. 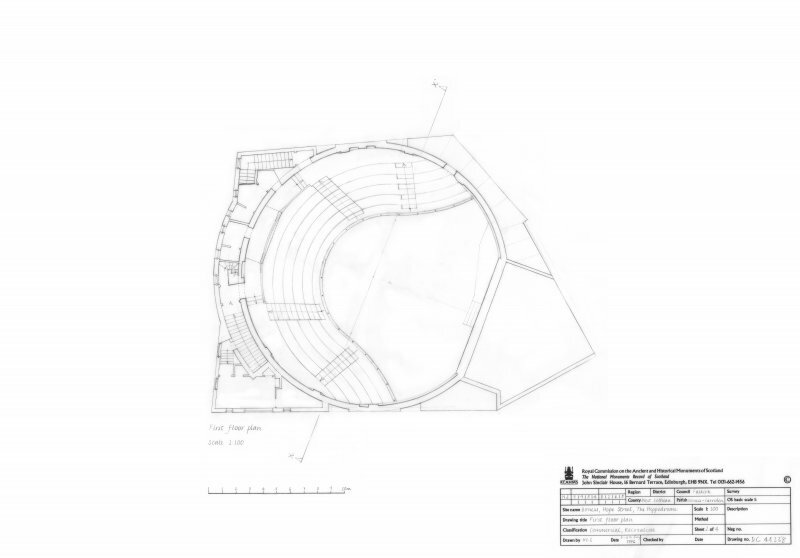 The theatre is harled with rendered details. A square windowed projection sits on the north face with a stepped cornice. The 2 windows above sit under a continuous splayed hood and capping cornice. A tall parapet with pronouced clasping blocks and cornice is slightly set back. The interior is now much altered, with the theatre converted into a cinema in 1916 and converted for bingo use in 1960. However, the 1940s projection suite and main decoration remain intact. A watching brief was undertaken by Headland Archaeology. 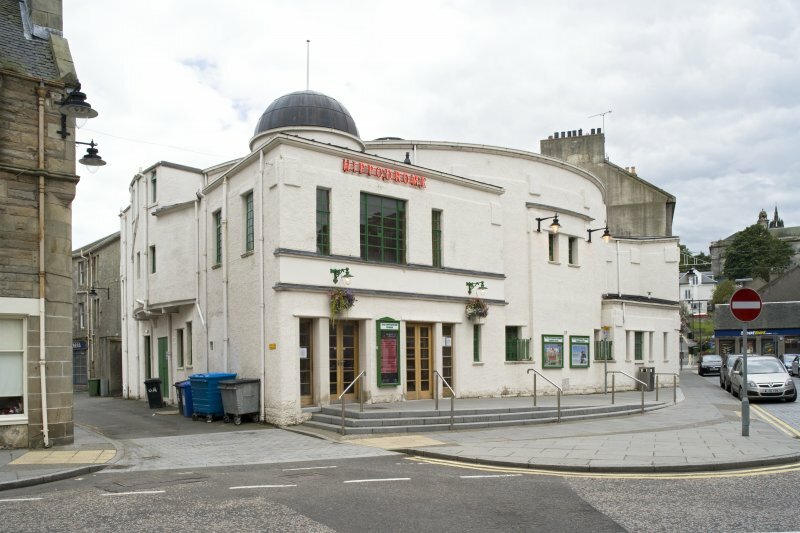 This building is believed to be the oldest purpose-built cinema surviving in Scotland. Following renovation, it reopened as a cinema on 9 April 2009. Information from RCAHMS (RJCM), 29 June 2009. Imagine a world with no social media, internet, television, cinema or even radio. Take away all our mass media and life wound be very different. Cinema was the first of these new technologies to sweep the world, ushering in the dawn of modern mass culture. The water cooler moment had been born, before the invention of the water cooler! If we think about cinema in Scotland then Bo’ness may not be one of the first places to come to mind. However, it was an early hotbed of activity. The Early Cinemas in Scotland Research Project identified one cinema venue in nearby Linlithgow, one in Queensferry, two in Grangemouth and seven in Bo’ness - the same number as found in the far larger town of Dunfermline; and well ahead of Stirling, which had four. The first film show in Bo’ness took place in the Drill Hall on 27th December 1897. It was later joined by the Town Hall as a venue, following the latter’s opening in 1904. 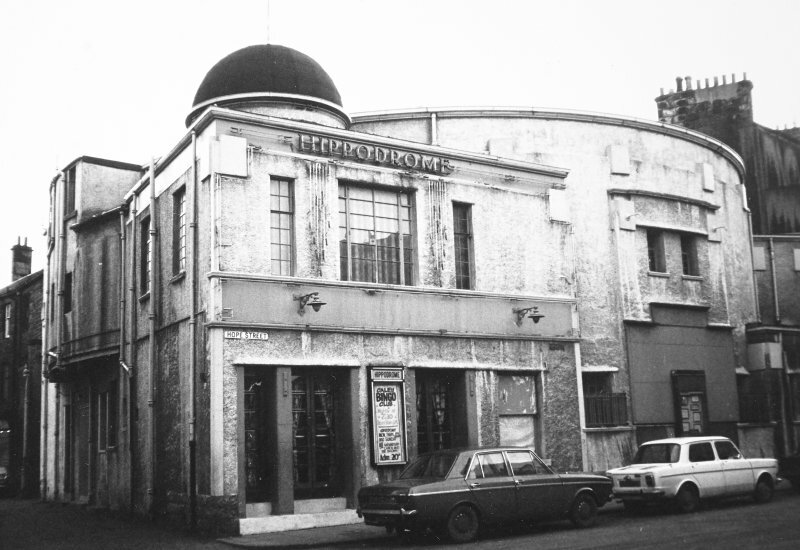 Neither were dedicated cinemas, as they hosted a range of activities and entertainments. 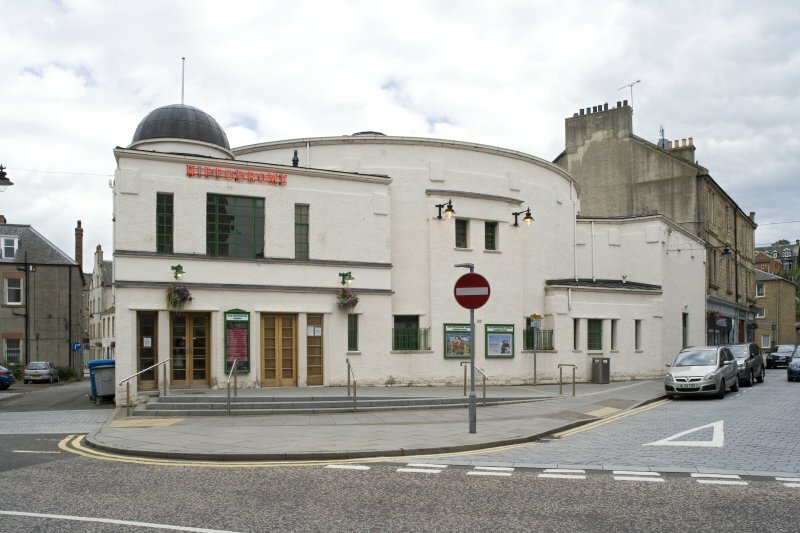 In 1909, the Edinburgh cineaste, Louis Dickson, took over the Drill Hall, partly as a place to show his own films of local events. He renamed it the Picture Palace. The following year, a hall in the town centre was converted into the Electric Theatre, with a capacity of 400 people. The gauntlet had been thrown down to Dickson who responded by taking things to a new level: a purpose built cinema. Thus was born the Hippodrome, taking its name from the greatest stadium in Constantinople, home to horse and chariot racing. 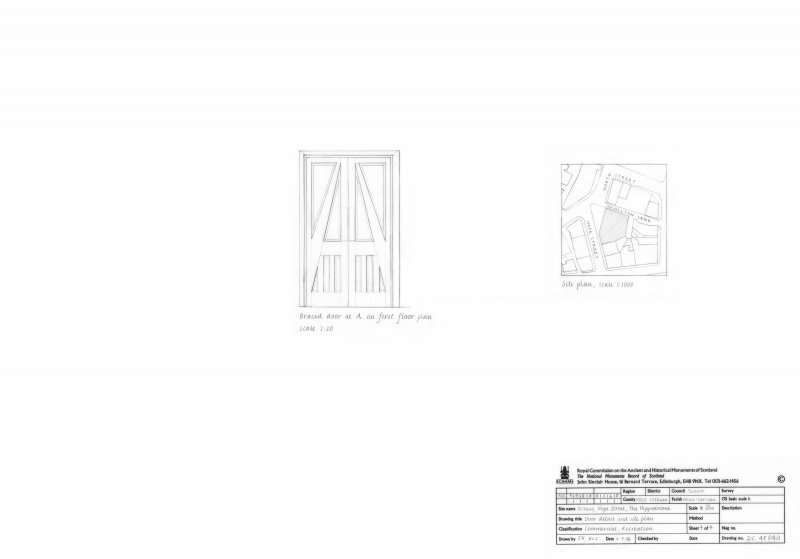 The chosen architect was Matthew Steele. Born in Bo’ness but trained in Glasgow, Steele had returned to Bo’ness in 1905, setting up in independent practice. He was immediately successful, with a busy order book right through to the start of the First World War. His work included houses, shops, offices and the like; and masonic lodge was the closest that he had come to an entertainment venue, so a cinema was a new challenge. Drawings were submitted in 1911 and the building opened on 11 March 1912 with a capacity of over 700. This site falls within the Bo'ness Town Centre Area of Townscape Character (NS98SE 201), which was defined as part of the RCAHMS Urban Survey Programme 2013. 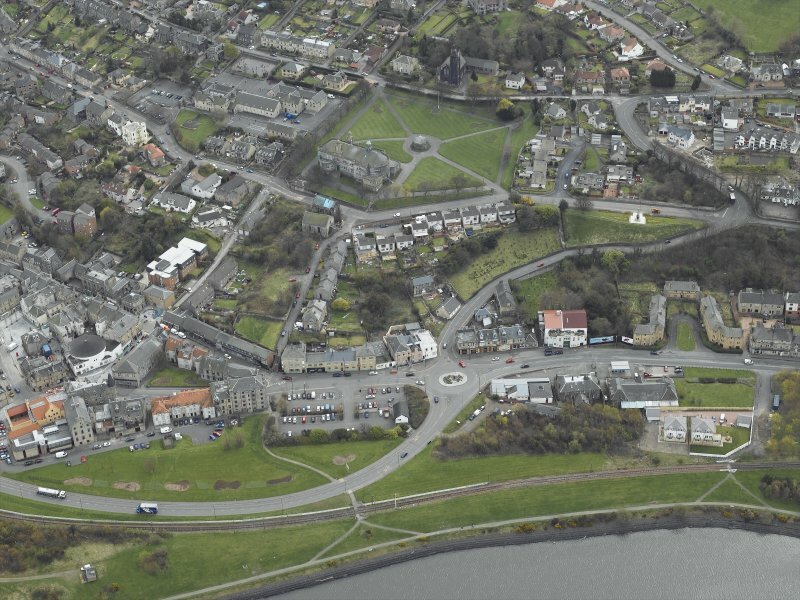 Text relating to the historical development and topography, and present character of the Bo'ness Town Centre Area of Townscape Character can be viewed at site NS98SE 201.